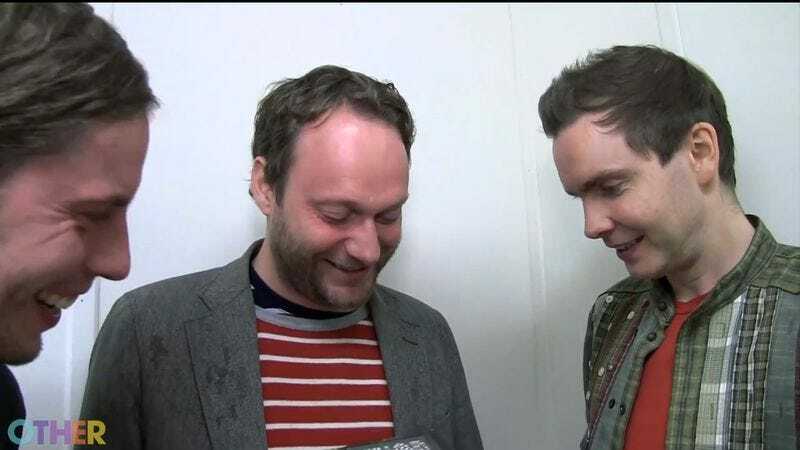 Interviews are not Sigur Rós' strong suit. Just ask the folks over at NPR. But Nardwuar The Human Serviette took on the Icelandic trio, hitting them with his signature surprise knowledge. He gave them Iron Maiden picture discs and Thor DVDs, and the guys actually seemed to kind of enjoy it. It may not seem terribly interesting, but score one for Nardwuar for getting each of the guys to actually speak and smile.